The wormwood shrub grows wild in Europe, North Africa, and western Asia. It is now cultivated in North America as well. The leaves and flowers, and the oil obtained from them, are all used in herbal medicine. Traditionally, wormwood is regarded as a useful remedy for liver and gallbladder problems. Wormwood contains strong bitter agents known as absinthin and anabsinthin, which stimulate digestive and gallbladder function. A standardized Chinese herbal combination containing extracts from plants including wormwood, ginger, bupleurum, schisandra, and dan shen reduced IBS symptoms in one study. 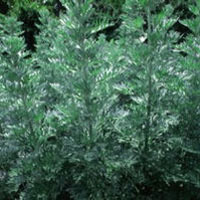 Wormwood has been traditionally used for treatment of parasites. Numerous studies have suggested the herb can be helpful for some parasitic infections. As a traditional medicine, wormwood was used by herbalists as a bitter to improve digestion. Wormwood is perhaps best known because of the use of its oil to prepare certain alcoholic beverages, most notably vermouth and absinthe. Absinthe, popular in the 19th century in Europe, caused several cases of brain damage and even death and was banned in most places in the early 20th century.1 Wormwood oil continues to be used as a flavoring agent for foods, although in much smaller amounts than were found in absinthe. As a traditional medicine, wormwood was used by herbalists as a bitter to improve digestion, to fight worm infestations, and to stimulate menstruation.2 It was also regarded as a useful remedy for liver and gallbladder problems.